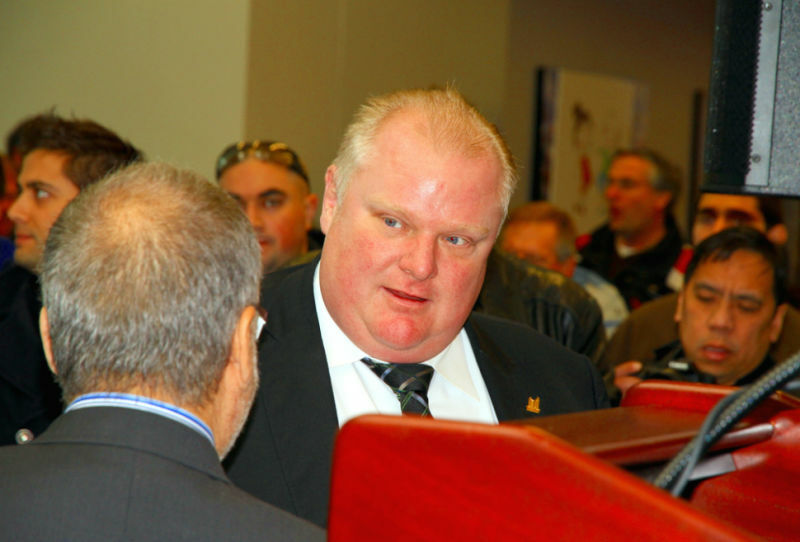 At 4:20 p.m. on Tuesday, November 5, 2013, a security guard in Toronto Mayor Rob Ford's office commenced a press conference by Toronto Mayor Rob Ford, who smokes crack. 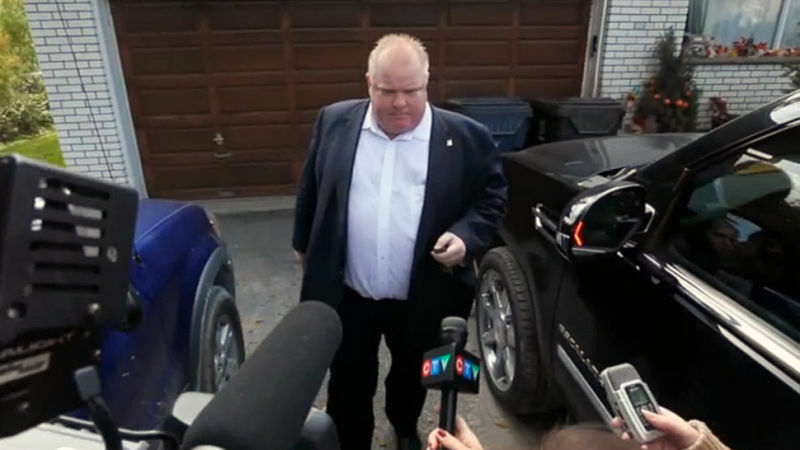 Ford told the assembled reporters that he would not step down after admitting to smoking crack. The reporters laughed at him. Rob Ford Calls Himself Best Mayor, Pledges to Stop Getting "Hammered"
During his Sunday afternoon radio show that he shares with his brother, Toronto Mayor Rob Ford promised to stop getting "hammered" in public, and offered a general apology for his behavior, but made no specific mention of his drug use or any of the actions allegedly captured on the video that is now in the hands of the Toronto Police Department. Five months ago, I flew to Toronto to meet a crack dealer. We hung out together briefly in a car, he showed me a video on his iPhone of the mayor of Toronto smoking crack cocaine, and then he split. Subsequent events unfolded, and for reasons that escape me and make me fundamentally question my settled views on Canada and Canadian-ness, Rob Ford is still the mayor of Toronto. Anyway, it turns out the cops were watching us the whole time. 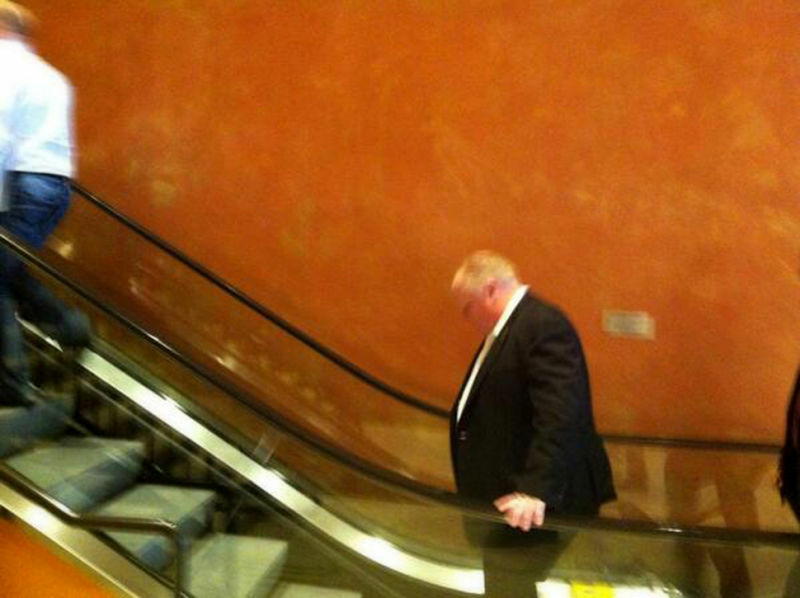 This photo of Toronto Mayor Rob Ford ascending an escalator during a visit to Austin, Texas, is perfectly composed, painterly, and downright Hopperesque. It was taken by Don Peat, a reporter for the Toronto Sun. Sandro Lisi, the associate of crack-smoking Toronto mayor Rob Ford who reportedly showed up at a crack house where Ford was filmed smoking crack cocaine in an attempt to collect the video, was arrested yesterday by the Toronto Police Department on drug charges. One of the reasons America's idiotic war on drugs has existed as a punitive project rather than a therapeutic one is because it's easier to write off drug addicts as losers with no self-control instead of damaged people deserving of sympathy. The nation is a rat race for money, and the fewer people competing for that money the better, so who cares if some sad guy addicted to crack gets thrown in jail for years on end? More for me. TMZ has quite the report on professional basketball player Lamar Odom, who is the husband to Khloe Kardashian and the uncle to North West. 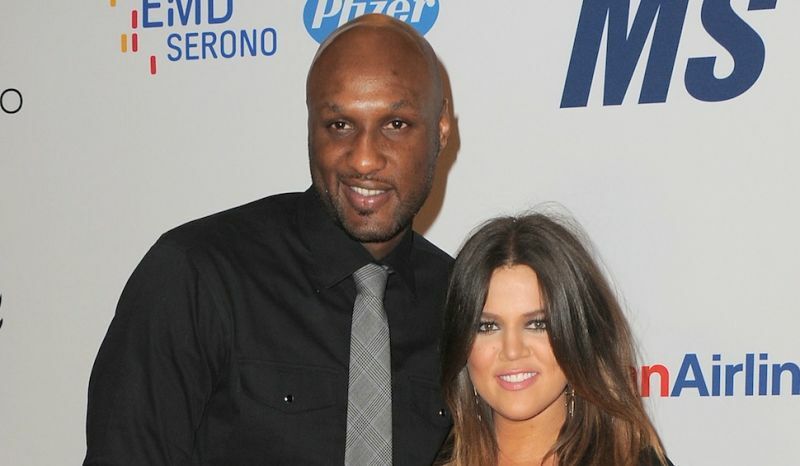 According to the report, Odom recently relapsed and began smoking crack cocaine again after nearly a year of sobriety, causing Kardashian to kick him out of their home after he rejected an intervention. Odom has been not been seen since, and family members are worried he may be on a 72-hour drug binge. 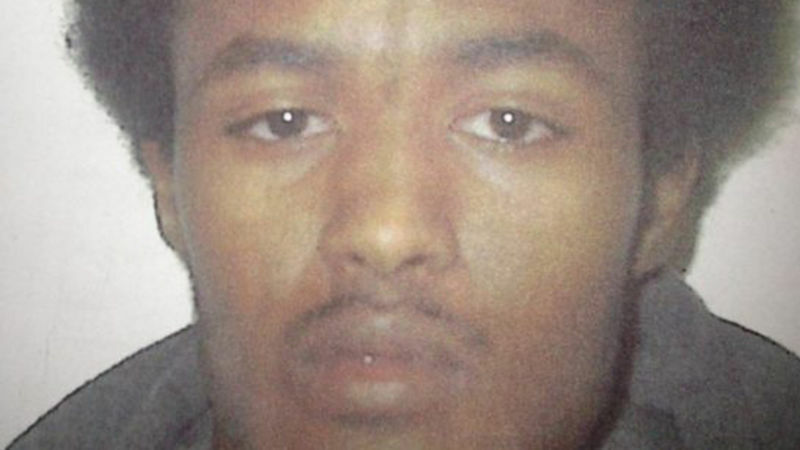 This is Mohamed Siad, 27, accused drug dealer, gun runner, victim of a recent jailhouse stabbing—and, apparently, owner and peddler of the infamous Rob Ford crack video. 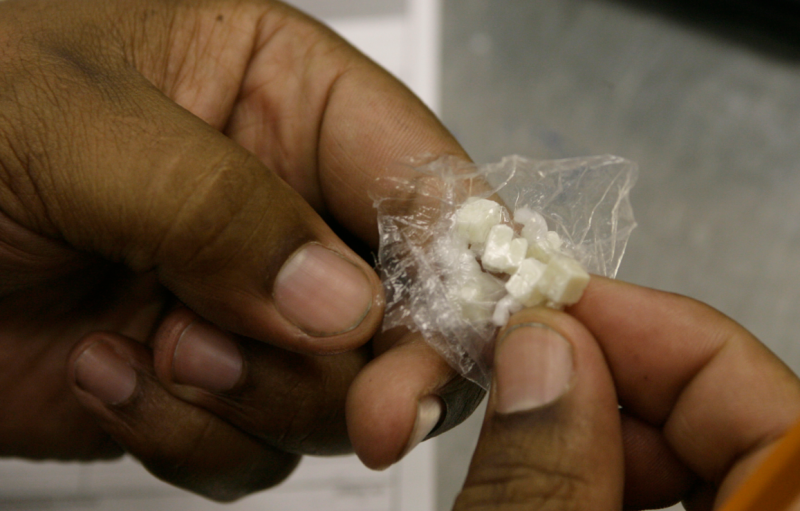 Decades ago, when a new drug called crack was tearing apart communities across the U.S., much of the concern about the epidemic revolved around so-called "crack babies." To speak frankly, the fear seemed to be that poor black women who were smoking crack while pregnant would give birth to a legion of black children with all kinds of physical and mental abnormalities. Comedians had whole standup routines devoted to the scourge of crack babies, while some cities went so far as to prosecute women who gave birth to babies who'd been exposed to cocaine. Today, research out of Pennsylvania confirms that some people whose mothers smoked crack while pregnant do indeed struggle at times, but not for the reasons one might think. The approval rating of Toronto mayor Rob Ford—who was filmed smoking crack cocaine—has risen five points since last month, when news broke that he was filmed smoking crack cocaine. 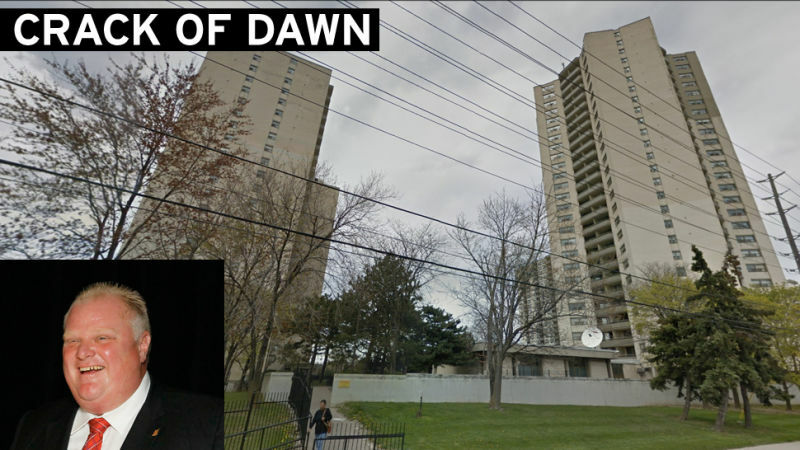 Toronto Mayor Rob Ford's cable is out, poor guy, which is why he hadn't heard that "ground zero" for his crack cocaine scandal was the site of a huge police raid this morning. He probably also missed that Toronto cops were aware of his crack video weeks before Gawker broke the story. A new piece by Toronto's Globe and Mail outlines how crack-smoking Toronto Mayor Rob Ford's brothers and sister have a long history with the suburban Toronto drug scene, and that his brother, adviser, and current Toronto city councilman Doug Ford was a major drug dealer in the eighties. 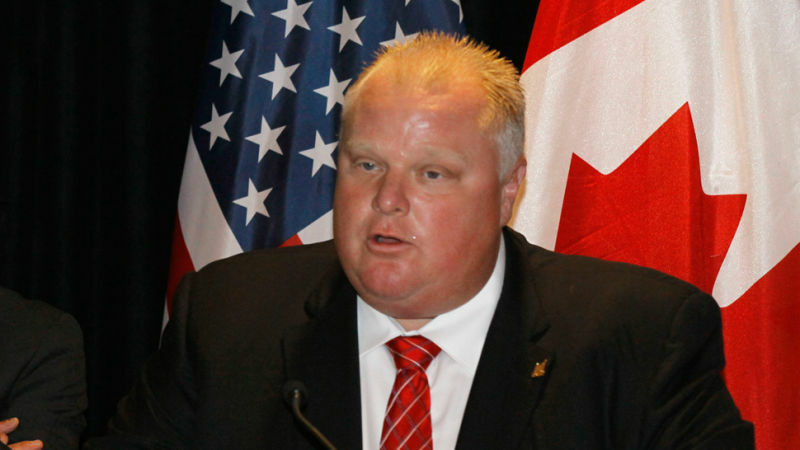 Toronto Mayor Rob Ford, who smokes crack, has parted ways with the Catholic high school football team he used to coach. He's still mayor of Toronto though. 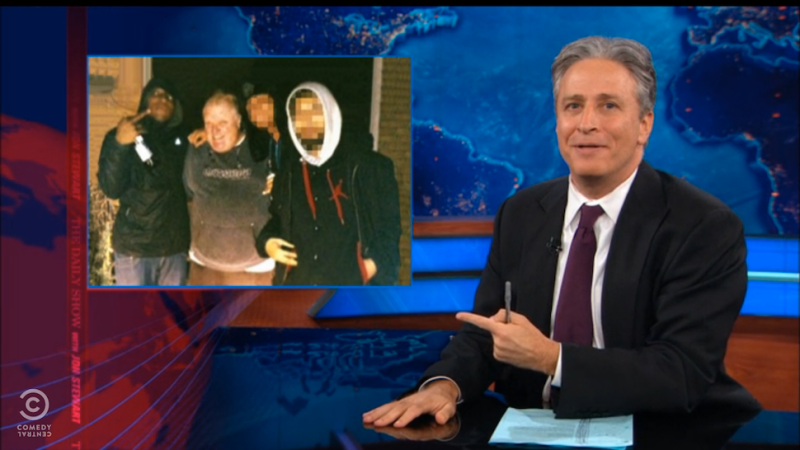 Jon Stewart began The Daily Show last night by noting: "The great thing about mayors is that they can maintain the eccentricities that get sanded-off and focus-grouped out of statewide or national politicians." 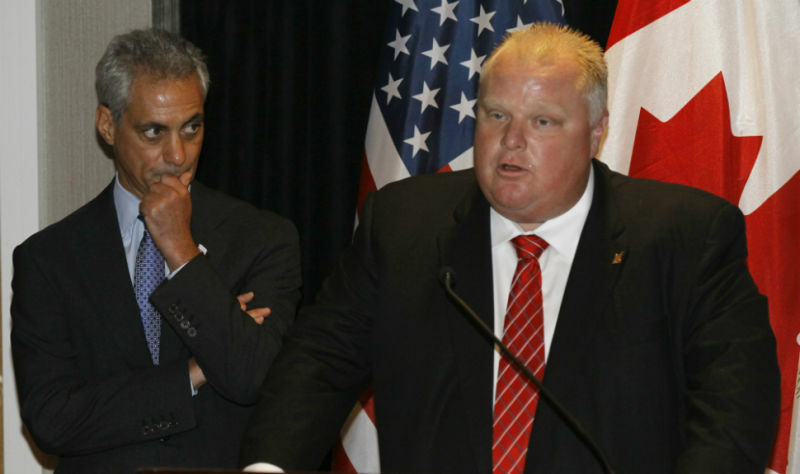 And even among crazy mayors, he says, Toronto Mayor Rob Ford stands out. 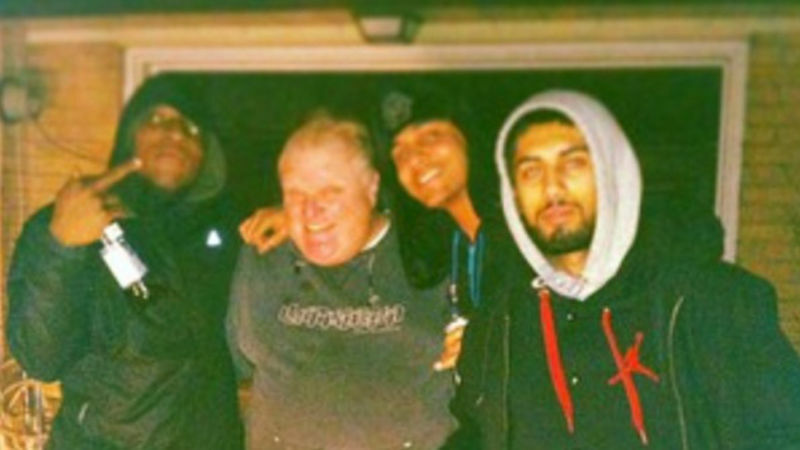 As you may have heard, Rob Ford, the mayor of Toronto, smokes crack cocaine. We've seen a video of him smoking crack cocaine, and the people who have the video would like to sell it. Through the miracle of crowdfunding, you can help. 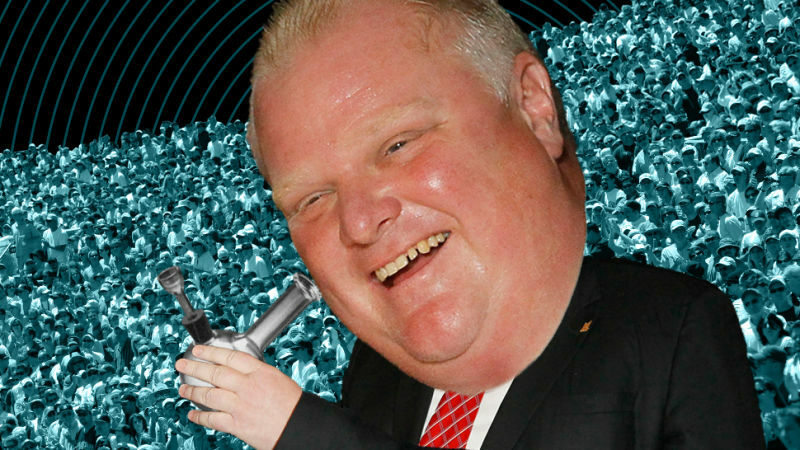 Please consider donating to the Rob Ford Crackstarter. 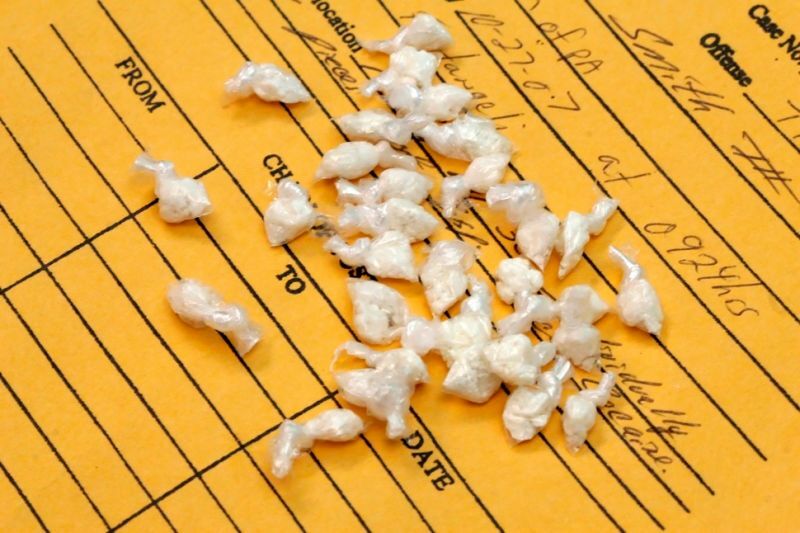 One of the most blatant injustices in our nation's drug laws (which are themselves an injustice) has always been the disparity in sentencing between those who were caught selling crack and those who were caught selling powder cocaine. Crack sentences have always been much, much harsher. (Racism, by scaremongering "tough on crime" politicians? Yes, it's racism by scaremongering "tough on crime" politicians.) 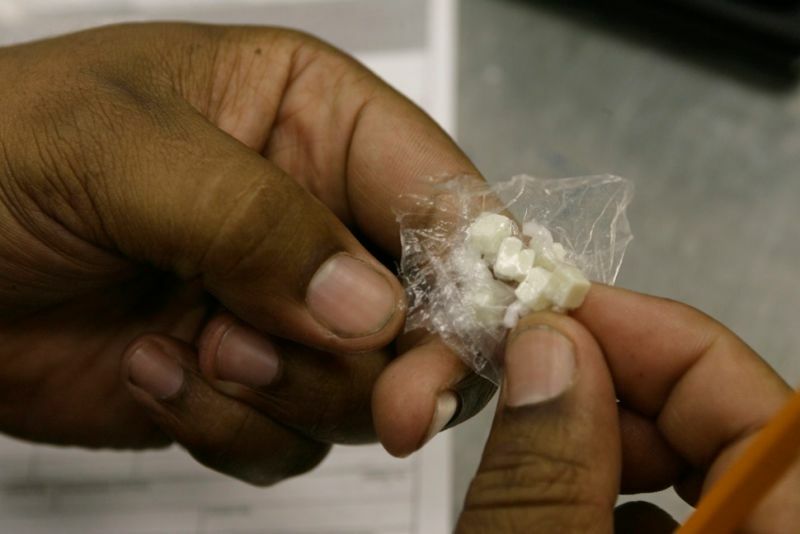 A 2010 law finally brought crack sentences down to earth, very relatively speaking. And now: a bit of good news, for crack stragglers. 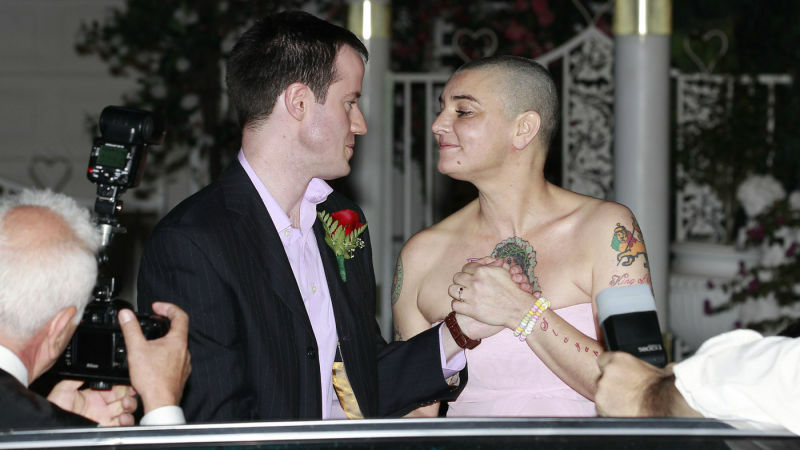 Sure our collective crazy Irish aunt Sinead O'Connor admitted that her "mad search" for some pot on her wedding night helped lead to her breakup with her latest husband after only 16 days, but there is more to the story. Well, just change "pot" with "crack" and you have the whole story.